Luka Modric and his midfield partner Ivan Rakitic will be in focus as Croatia will look to continue their impressive run in the FIFA World Cup 2018 with a Round of 16 clash against Denmark at the Nizhny Novgorod Stadium on Sunday. 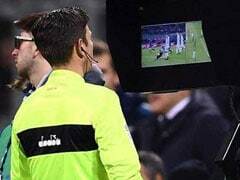 Croatia topped a group that also included Lionel Messi's Argentina, who were outclassed 3-0 by a rampaging Croatian outfit. 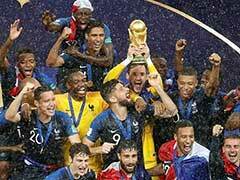 Croatia won all three of their Group D matches to set up a clash against Denmark, who have failed to impress, but notably are still unbeaten after emerging from Group C.
Croatia's three victories in have led many to claim that Croatia could win the World Cup 2018, especially in a tournament where there appears no outstanding favourite. Ahead of the crunch clash Rakitic compared his teammate Modric to Spain's Andres Iniesta. Four years with Iniesta at Barcelona and 11 alongside Modric for Croatia leaves Rakitic in a privileged position to judge two of the finest playmakers of the modern era. "It seems like both of them are from different planets and they came to play football with us mortals," Rakitic said. "Both of them are among the best players ever in their positions. You try to enjoy it as much as you can, to learn from them." Iniesta is regularly classed among the greats of the game and as a defining influence on Spain's success, but Modric's talents remain relatively unsung. Perhaps, in part, it is because Iniesta's brilliance has been backed up by achievements on the world stage -- he scored the winning goal in the 2010 World Cup final -- while Modric has not hit the same heights with Croatia. Modric owns four Champions League titles from his six years at Real Madrid, and has also won a La Liga and the Copa del Rey. But since making his Croatian debut in March 2006, in a friendly against Argentina, he has twice tasted disappointment in the group stage of the World Cup, either side of a failure even to qualify in 2010. "Modric would probably be getting more attention than he is right now if he was a German or Spanish player," Croatia defender Dejan Lovren said last week. "He would maybe even be a Ballon D'Or winner. But because we are a smaller country, he does get less attention than he deserves." 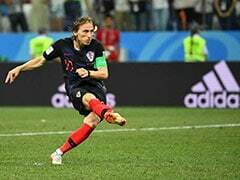 Modric has never even made it into the top three of football's most prestigious individual award but, after scoring twice in Croatia's opening three games in Russia, there is a chance for him finally to put his stamp on a major tournament. Iniesta and Spain could lie in wait in the quarter-finals but first, Croatia must overcome Denmark in the last 16 on Sunday in Nizhny Novgorod. Denmark trudged their way through an underwhelming Group C but they have their own midfield dynamo in Christian Eriksen who, like Modric once did, has flourished in the Premier League at Tottenham. Modric is deployed deeper for Real, tasked with moving the ball from back to front by wriggling his way forward and changing the angle of attacks. But for Croatia, his job is closer in kind to Eriksen's, an executioner of killer passes in the final third. It means they are unlikely to be in direct combat in Novgorod but Modric and Eriksen's battle for control could prove decisive. "I do not consider myself to be worse than him," Eriksen said on Friday. "He is the type of player you enjoy to challenge yourself against. For the national team, he is more attacking than he is for Madrid." Modric admittedly enjoys a stronger supporting cast, with Rakitic a particularly formidable midfield partner. 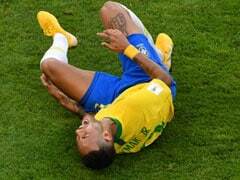 But the stakes are also higher for the 32-year-old, who is probably playing his last World Cup and possibly has one final chance to make a mark on the international stage. 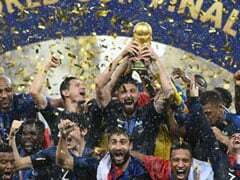 "Sure, there's a lot of pressure but I said from the beginning, when we got together for this tournament, that we need to enjoy this because it's the World Cup," Rakitic said. "We need to fight, to enjoy the tournament and do everything we can to make our fans happy."